Home > Heart Diseases > What Are The Most Common Enlarged Heart Symptoms To Look For? Enlargement of heart is medically known as Cardiomegaly. This is a condition in which heart’s cardiovascular functioning gets affected. Heart enlargement is generally caused when heart muscles gets damaged. There are many causes for heart enlargement. But, coronary heart disease and high blood pressure are the main causes of heart enlargement. The pumping capacity of the heart declines with enlargement continues. This will result into congestive heart failure. Enlarged heart symptoms are not known until it starts affecting heart’s pumping ability. 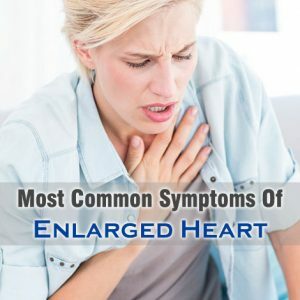 Once it starts affecting the pumping capacity, then the most common enlarged heart symptoms that are associated with congestive heart failure show up. A person with enlarged heart needs a lifelong treatment with medications. This condition may improve overtime. 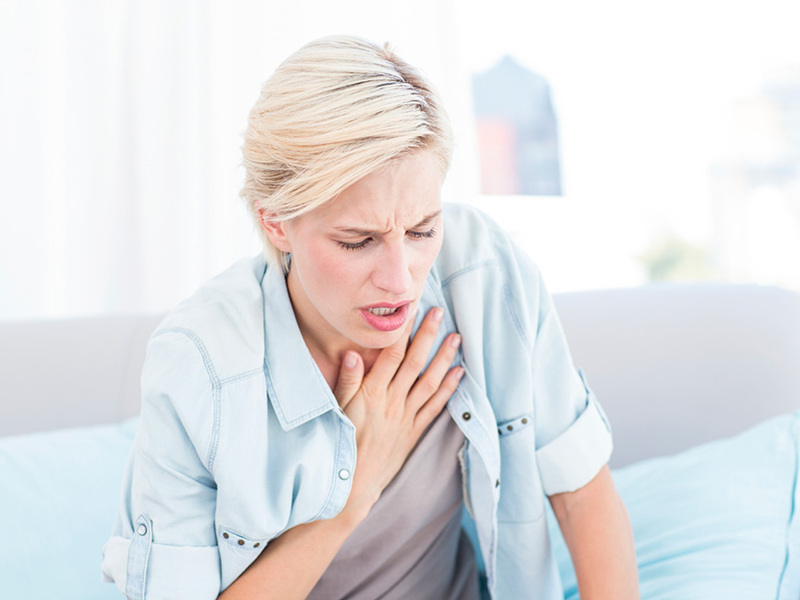 Shortness of breath is one of the most common enlarged heart symptoms. Shortness of breath is most especially observed with physical activity or when lying flat. Heart Palpitations is also commonly found in a patient with enlarged heart. Heart palpitations mean experiencing abnormal heartbeat. Abnormal heartbeat included heart beating faster, or beats harder, or beating with pauses. Edema is also one of the most common enlarged heart symptoms you need to look for. Edema means swelling of legs, and ankles. Cardiac Arrhythmia is also observed in person with enlarged heart. Cardiac Arrhythmia is also known as Cardiac dysrhythmia. It is a condition of heart in which heart beats irregularly i.e. either fast (>100 beats per minute) or slow (<60 beats per minute). A cardiomegaly patient will be feeling fatigue and fainting. As the heart is not pumping blood properly, it makes the patient to feel fatigue all the time. Some more common heart enlargement symptoms include weight gain, increased abdominal girth, chest pain, respiratory problems, and cough.